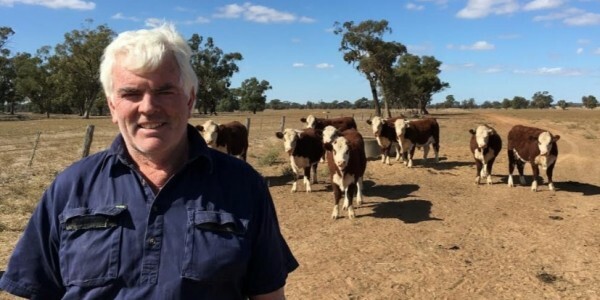 RSPCA Australia has refused to publicly declare its support for farmers accredited under its ‘RSPCA Approved’ animal welfare scheme, despite recent vegan activist protests targetting livestock farming and processors. The body has refused to publicly confirm or deny whether there had been any activist incursions on accredited RSPCA Approved farms in case they were targeted, although Sheep Central has been told the body has advised farmers on how to deal with trespassing protestors and media enquiries. RSPCA Australia said farmers do not pay to be part of the RSPCA Approved farming scheme, which is not for profit. “Royalty payments received from companies marketing the products as RSPCA Approved are used to fund the scheme. At the time of going to press, RSPCA Australia had not said why it has not publicly supported farmers accredited in the RSPCA Approved scheme. Click here for more information about the RSPCA Aprroved Farming Scheme. An RSPCA media officer directed Sheep Central to a recent opinion piece by RSPCA Australia chairman Gary Humphries published last month, in which he states that the RSPCA “wholeheartedly condemns law-breaking behaviour”, though again without offering any support for law-abiding farmers. Mr Humphries mentions that a recent study Australias Shifting Mindset on Farm Animal Welfare found that many of the respondents now support the view “animal welfare isn’t being sufficiently delivered by the agricultural sector for today’s values.” However, the RSPCA has not said whether it agreed with this view. An ALDI Australia media officer said she unfortunately unable to provide a comment on behalf of the company, but directed Sheep Central to background information on ALDI’s commitments to animal welfare. No response was received from Coles at the time this article was published. Sheep Central has also asked the RSPCA how much it generates from RSPCA Approved royalties, whether all royalty monies are spent in running the schemes and what is done with surplus funds. The RSPCA has been evolving into an animal rights group for years. It no longer supports it’s original tennant and has become more an animal activists organisation. Time for the RSPCA and retailers to stand up and take a stand. Do they support law abiding citizens going about their lawful right to farm or, support activists who unlawfully invade private property and terrorise people going about their lawful business? Speak up RSPCA, Woolies, Coles and Aldi. Thank a farmer for your next meal. My wife and I make a point of donating to the RSPCA yearly. But that stops right now if this is the conduct of the organisation. Farmers clearly following the rule of law, and trying to go about their business should NOT be harassed in any way by protesters, and the RSPCA has a moral duty to publicly support these hard working Australians. I encourage all to withdraw their support for the RSPCA until they comet and publicly show full unconditional support for all our farmers. Get off your backsides and support farmers that have bent over to accommodate your ridiculous views on most forms of modern agriculture. Unfortunately the RSPCA has fallen into the same basket as PETA and Animals Australia. Instead of promoting animal welfare they seem to be supporting the vegan terrorists that are disrupting and intimidating everyday Australians. The sooner they no longer have any political funding, power or authority the better.